Should You Be Allowed To Sell Your Privacy? Is Your Privacy For Sale? In other words, should ISPs be allowed to offer discounts or other valuable considerations in exchange for your permission to use your browsing history and other personal data for marketing/advertising purposes? Alternatively, one might ask, “Should I be allowed (by the FCC) to sell my privacy?” Phrased that way, most people will say, “Sure, I should be allowed to sell any of my property.” But as with anything involving regulation of Comcast, AT&T, Verizon, et. al., it’s not that simple. The FCC, in its 317-page NPRM, proposes to extend the same privacy protections now applicable to telephonic communications to the vaster realm of Internet communications. The three basic principles of that protection, the Commission notes, are transparency, choice, and data security. Surprisingly, the FCC currently has no rules for ISPs concerning how they protect customers’ data from theft or destruction; historically, State laws and the Federal Trade Commission have been active in these areas. The proposed rules would bring federal consistency to an interstate market, and tailor rules to the Internet specifically. AT&T already offers a “cash for data” plan. If you check that little “opt-in” box permitting the company to exploit your data, you get a $29 monthly discount off the cost of 1Gbps fiber-to-the-home service. With that discount, 1Gbps fiber services is only $70/month. But if you want to keep your privacy, the same service costs at least $99/month. Why? No reason, except to get you to part with your data. Google Fiber, where it’s been introduced https://fiber.google.com/newcities/ cost $70/month for 1Gbps service. The City of Longmont, Colorado, which doesn’t have to turn a profit for shareholders, charges only $50/month for gigabit fiber service. You might be offended that the FCC thinks you are unable to make a decision about getting a discount in exchange for the rights to your browsing history. But perhaps you need that protection just as much as your dimwit brother-in-law. Intelligence regularly succumbs to greed. Could Hackers “Rig” The Election? Most recent comments on "Should You Be Allowed To Sell Your Privacy?" I will gladly leave a one time comment for a payment of $19.99. Thank you for allowing me to make this very generous offer to you. BTW- I just upgraded to the latest Firefox and the new FF wouldn't let send my comment to your site because of some expired certificate. I created an exception. Wow! With so much information already in circulation, what difference would it make? And I agree with your statement about "illusory discounts." I forget which one, but some years ago one of the big dogs in Silicon Valley said "It's not your data; it's data about you," and advised giving up all hope of protecting it. I would love to see the FCC do something to encourage competition between service providers, but I don't have much hope. Would you kindly give us an address to send email to within the FCC to express our opinions about this issue? Bob, I get same problem as JayR with Firefox 48.0 and also Android Silk browser. I get the message, "The owner of rankinfile.com has configured their website improperly. To protect your information from being stolen, Firefox has not connected to this website." "rankinfile.com uses an invalid security certificate. The certificate expired on Thursday, August 11, 2016 7:59 PM. The current time is Friday, August 12, 2016 2:21 PM. I checked "Report errors like this to help Mozill..."
Press OK to confirm "
I then hit the Back button as directed and was allowed to post this. Whew! Please Bob, update the damn certificate. I find the $70 figure interesting, as an upper limit, as Lightspeed has been running fiber in our area and $70 is the intro Gigabit/sec rate. "You already have zero privacy - get over it." How is it the FCC doesn't have the same disrespect for our privacy as the FBI, NSA, CIA, and other government agencies? Maybe sign up for the discount but use HTTPS, Proxy Server Service such as TOR and VPN. 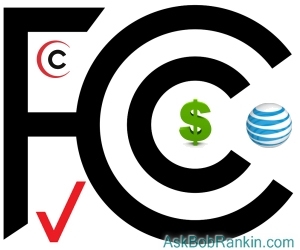 If the FCC officially permits this, it will not be too long before opt out people will not be able to afford to opt out. I can easily imagine a $30 service if you give and let them use your information, and a $250 cost for the same service without such permission.